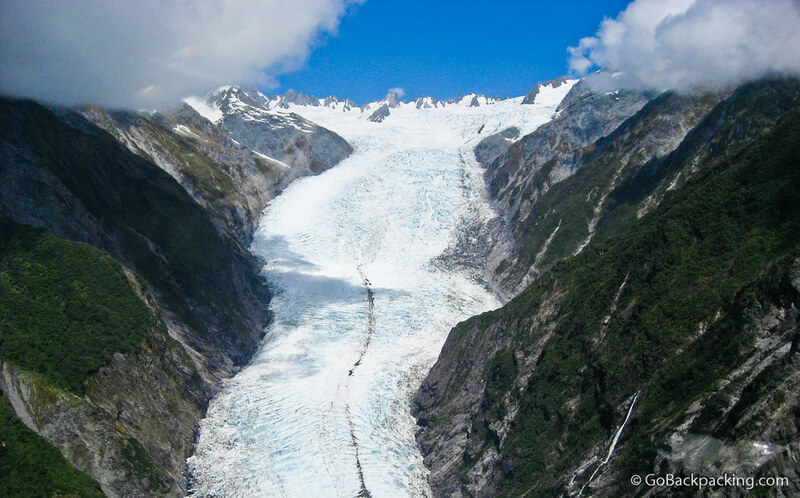 This was the view from the front seat of the helicopter I rode up the Franz Joseph Glacier in New Zealand. As you can tell, despite a few clouds in the neighborhood, there was plenty of sunshine, and blue skies. On the right side, the white vertical stripes are giant waterfalls cascading down the walls of the mountain. Fantastic shot, Dave! I was also fortunate enough to do the glacier flight over this phenomenal river of ice. It really gives you a new perspective on the entire landscape. I’m sure the experience was as memorable for you as it has been for me, and posting about it certainly helps keep those memories fresh!